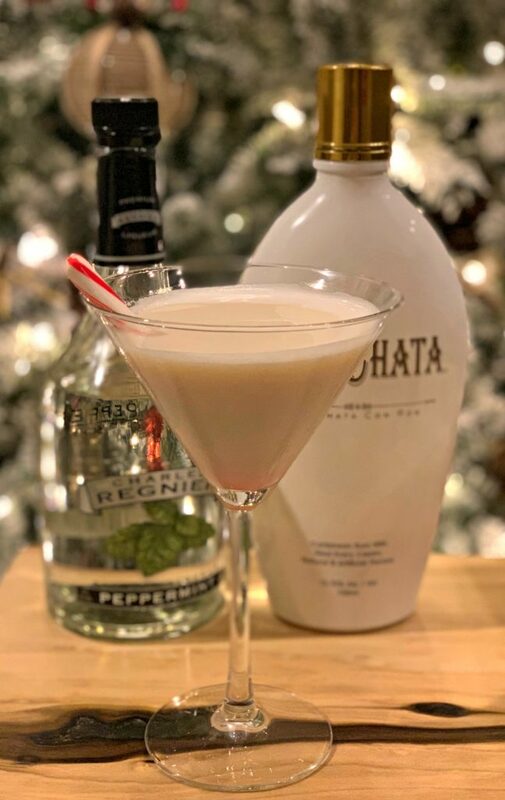 This White Christmas Cocktail only calls for two ingredients! 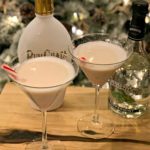 Simple to prepare, this Christmas drink will be a hit at any party! This Holiday season, my hubby and I are enjoying playing around with new cocktail creations. You may look at the last few posts and realize that yourselves though, haha! There is something quite festive about enjoying a Holiday cocktail by the fire, while enjoying the view of the Christmas décor throughout the house, right?! Last night, my hubby prepared these for us while I made dinner! Good hubby I have, huh?! I made a tasty new soup recipe (coming soon), so while I was letting that simmer over the stove, this was quite enjoyable for us both! My hubby added a candy cane to ours, but you could also use crushed candy cane to rim the glasses for an even more festive look! You could even drizzle some chocolate sauce on the inside of the glass to change it up! Or, add red sprinkles to the top! The possibilities are endless with this! Have fun with it! I’m on Instagram, click here (https://www.instagram.com/thecookinchicks/) to follow me, and be sure to use the hashtag #thecookinchicks if you try this so I can see your creations too!! After pouring two ingredients into our shaker, this drink was ready to go! 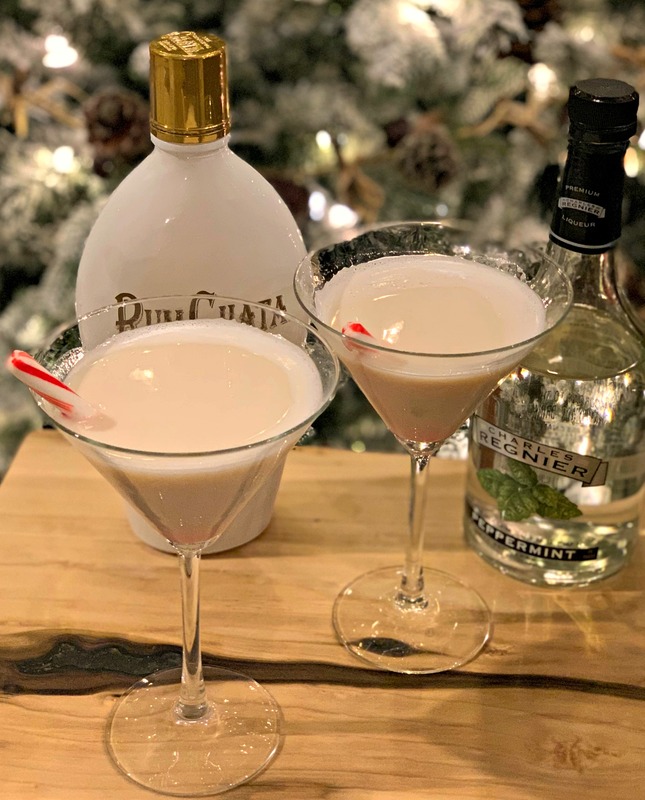 If you’re hosting a Holiday party, having friends/family over, or just looking for a festive way to get in the Holiday spirit, I definitely recommend trying this drink! This would even be a great option to make and serve at cookie exchange parties! Nothing pairs better with a Christmas cookie than a cocktail, lol! In a shaker, add ice and the Rum Chata/ Peppermint Schnapps. Pour evenly into two glasses. Add a candy cane if desired!